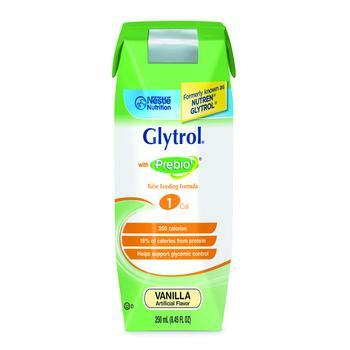 Nestle Glytrol® is a balanced formulation to support glycemic control. Elevated protein to support lean body mass. Fiber blend includes PREBIO1™ soluble fiber to help promote the growth of beneficial bacteria and insoluble fiber to help support normal bowel function.